Set against an industrial backdrop, Pnina Tornai showcases some of the most gorgeous gowns she's ever created, presenting the world with her 2019 LOVE by Pnina Tornai Collection. Full of dramatic capes, alluring beadwork, and a whole lot of love, the message of Tornai's newest collection is clear: be unapologetically you! You want to be the center of attention? Go for that extravagantly long train! You want to be seductive on your wedding day? This set of gowns has illusion pieces aplenty! With a collection and a message that is so relatable and, dare I say, enticing, it's impossible not to fall head over heels in love with Tornai's newest creations. What really takes this collection over the top though is the exquisite attention to detail on literally every single gown. You can see it in the varying silhouettes. Each gown is constructed with a glorious and elevated structure made to enhance the female form. You can see it in the lace. Whether it be embroidered, embellished or laser-cut, there is no doubt it is of the highest quality and designed into the most enchanting patterns. You can see it in the fabric that is there and the fabric that isn't! From illusion necklines and backs to tulle and organza overlays, the details of these gowns are complex yet classic at the same time. When you allow yourself to be true to yourself, who you are, and what you love, the beauty inside of you flourishes for all to see. 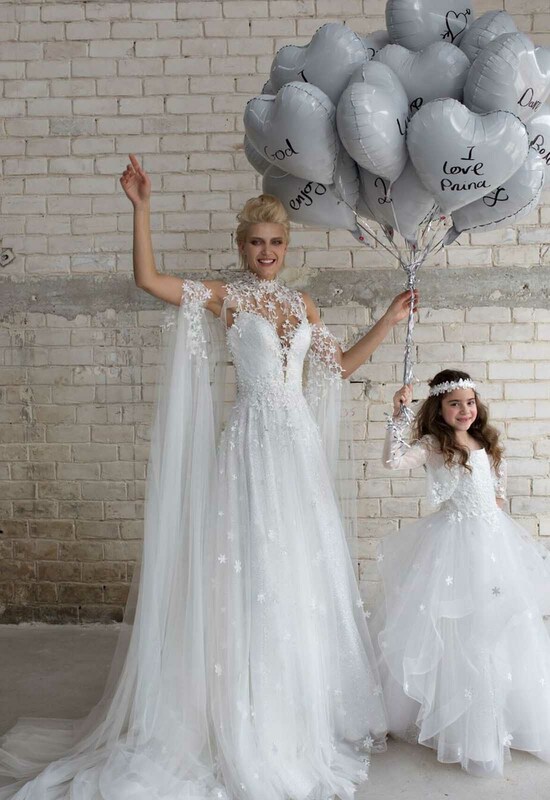 The gowns in the 2019 LOVE by Pnina Tornai Collection are the manifestations of Tornai's self love and growth, beautifully conceptualized and executed for brides with their own sense of style to shine in on their special days. Oh, did I mention there are flower girl gowns and plus size samples too? I told you this collection was something special.